The plight of bookstores in the West - as well as the changing shopping and reading habits of consumers - is much discussed, with many independent retailers already forced out of business. As is the case with some of its Asian neighbors, the spending patterns of Malaysia’s middle class are transforming the local economy, boosting domestic demand so the country is less reliant on exports. In the Asia Pacific region the middle class demographic is forecast to jump from 46% of the continent’s population in 2005, to 65% by 2030. How can Malaysia reduce inequality? 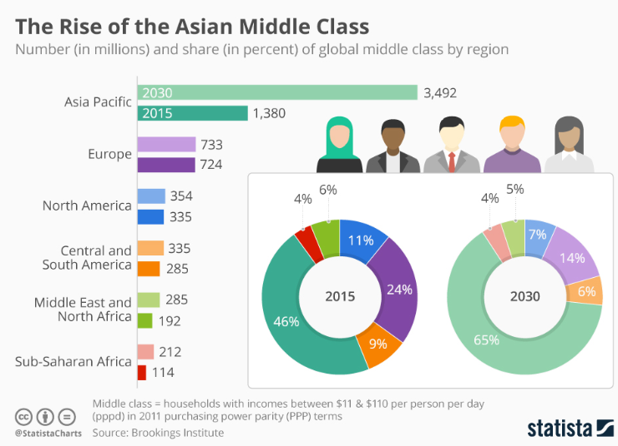 How will Asia’s growing middle class change the world? Despite rising housing prices and higher living costs, middle class Malaysians have more disposable income to spend on leisure activities.